Day 16 – The power of Mu (無) – Just do. Chop. Chop. Chop. 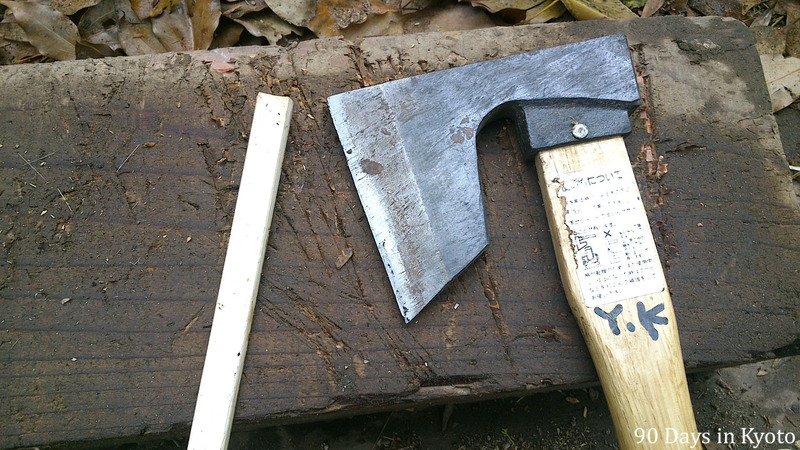 After lunch I was asked to use a nata (鉈), a wide blade knife or axe to cut of the edges of small, thin bamboo sticks. We want to use them as markers. I had tried it before, and although it looks easy, I found it really hard to get used to the axe and couldn’t find the right angle for my arm, wrist or hand. The fresh bamboo is pretty hard, so the knife has to come down straight, that the whole length is in contact with thing you want to cut – not just the front or the back. I was shown how to move my arm (or better how not to move it too much), how the axe moves by itself in the wrist if you keep it loose, but still control the movement with you hand. Looks easy – is not. 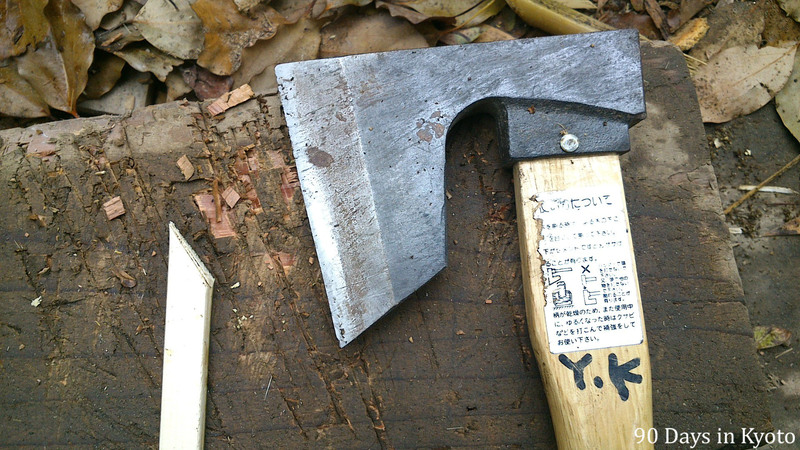 Before – cutting a takegushi (竹串 – bamboo skewer) with a nata (鉈). You think too much. You want to make it beautiful. No! Just do. Don’t think. Just do. Do, do, do! Do you know Zen? Zazen? The goal is to have MU, nothing in yourself, in your mind. Monks are training to have nothing in here (pointing to the chest). Just do. Chop. Do. Chop. Do. Chop. Don’t think! He gave me the knife and I sat down, held the bamboo stick in the left hand, lifted the axe with the right arm and chopped – one cut, that was all it took. I just did it. Took the next one, chop, off. Chop, off. I was amazed. I was told to finish the bucket and did so in no time. This is the power of MU – having nothing on your mind and just doing. Of course I was amazed to have had my Mr. Miyagi moment – Just do. Chop. Chop. Chop. In constraints – the luxury exists if you just do as you are told.